This time the spotlight will be shining on Farrah Rogue:Zero Hour , a split-screen-centric multiplayer shooter… just like in the old days! What say we help it escape the cold emptiness of Greenlight limbo? Farrah Rogue is first and foremost a world of color. Primaries, Secondaries, and a few Tertiaries. Because the best place to kill friends is some place pretty. I mean, it’s just respectful. Right? Kill any and all of them. Preferably near each other so you can hit the one who’s constantly watching your screen. You know the one. His name is probably Steve. It’s always Steve. Steve who? Oh right. A joke. I get it. I get jokes! Anyway, aside from ScreenCheat, it has been some time since I caught wind of genuinely interesting shooter with split-screen multiplayer. But that’s not the only reason I picked Farrah Rogue:Zero Hour for this week’s Greenlight Limbo. 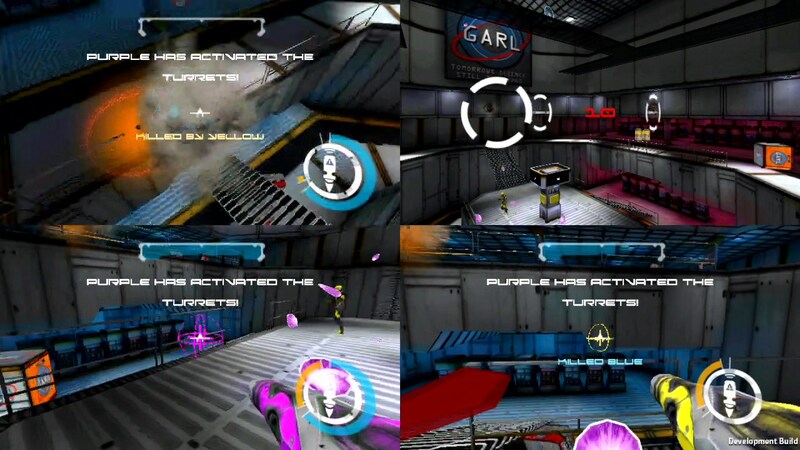 Darn thing’s channeling fast-paced FPS classics too after all, with rockets flying everywhere, plasma blasts that burn like the fires of hell, volatile grenades and… wait, ‘bouncy balls’? Oh and it gets better: gravity ropes and black holes are totally a thing. Chaos? Carnage? Sure seems like it! Plenty of classic modes too, which is simply icing on the cake in this (hopefully) awesome couch fragger. So riddle me this, dear reader: why is Farrah Rogue:Zero Hour still struggling to get through Greenlight? It’s not out just yet, but should be soon-ish (“Early 2015”). As such, how about visiting its Greenlight page and handing over a ‘yes’, if you like what you see? Remember: your vote matters!